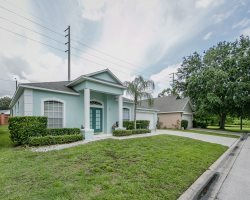 Explore our inventory of three bedroom Florida Vacation Home Rentals with Private Pool, available for your next Florida vacation! Perfect for medium sized groups these rentals sleep 6-8 comfortably and are conveniently located to many area attractions and activities. Browse all available rentals below, should you have any questions or concerns please contact our office for additional assistance. We cant wait to help you start planning the perfect Florida vacation!